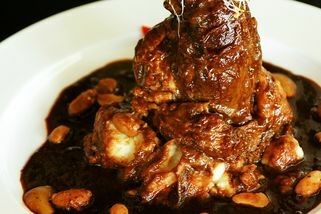 71, Jalan Bangkung, Bukit Bandaraya Bangsar, 59100 Kuala Lumpur. Pass by McD, take note on Jalan Bangkung, turn left. It is in a shoplot after passing by a school. 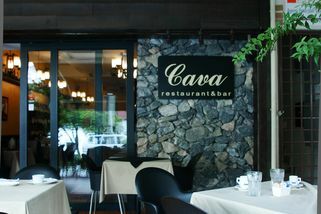 Cava is the place for authentic Spanish and Mediterranean cuisine. 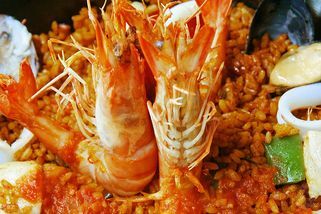 Featuring an amazing variety of Mediterranean favourites that include tapas, paella, and steaks, Cava is the place to come by for lovers of exotic foods made with tomatoes, potatoes, peppers, beans, corn, chocolate and vanilla. 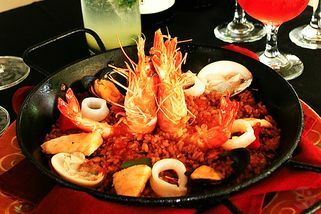 Spices that came to the Mediterranean from the New World in particular are specials here. Conveniently located at Jalan Bangkung, the quieter, peaceful area of Bangsar, it’s the perfect place to unwind and relax. 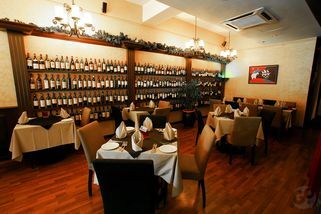 The restaurant itself is decorated with wine racks furnished with bottles of wine from all around the world. The walls, lightings and even dining chairs and tables are reminiscent of Mediterranean style restaurants and architecture. Probably the best sangria in KL for me. Food is okay, I am not crazy about it. I like the easy doorstep parking on the Bangkung row as it also makes way for convenient drop-off. With some help, it is possible to go there with someone on a wheelchair, just gotta be careful on the slope on the front entrance. However, the restroom is not as convenient for the wheelchair without assistance. Service staff are very friendly.